Travelling overland between Penang and Southern Thailand is no longer the straightforward affair it used to be. We have done the crossing and got back with a few annoying details everybody should know before heading to Thailand via the Kedah/Perlis land borders. Penang is a perfect spot for a Thailand visa run: it’s very close to Southern Thailand and has one of the most efficient Royal Thai Consulates in Malaysia. 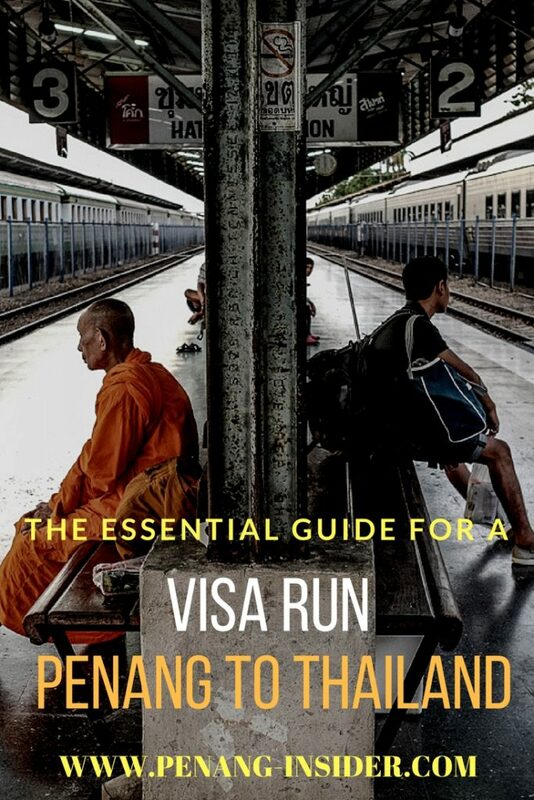 No wonder then that for well over a decade, Penang island, with its smorgasbord of delicious food and a vibrant nightlife, has been an easy option for most visa runners, especially those living in the south, looking to stay long-term in Thailand. Since I arrived in Penang in 2008, there have always been white travelers loitering around Chulia Street and Love Lane’s guesthouses and bars, waiting for their Thai visas. Back then it was easy to border hop between the two countries multiple times in one year, without worrying too much about immigration formalities. But in 2017, the situation has slightly changed: people still come to Penang to get their 60-days and Non-Immigrant B’s Thai visas, but unfortunately, it’s now much harder to just hop back and forth on both sides of the border. Especially in Thailand, immigration has become stricter, less friendly and definitely rigid towards European and Anglo-American foreigners. So keep this in mind before thinking of doing a border hop south to renew your Thai visa, and then return to some of Thailand’s famous island, such as Koh Phi Phi. The information in this post is based on my personal experience crossing from Padang Besar to Hat Yay in October 2017. At current, you should not take lightly any overland crossing from Penang into Thailand. Flying in still seems to be alright, without the same rigid rules and screenings. If you want to reach the border by train, check our guide on train travel from Penang/Butterworth. There are three main border crossings between Kedah and the Hat Yay region of Southern Thailand. 1.The most trafficked is Bukit Kayu Hitam/Changloon, at the end of the North-South Expressway, and used mostly by tourist mini-vans plying the Penang-Butterworth-Hat Yay route. This border used to be pretty straightforward: vans would park on the Malaysian side, passengers would queue up at Thai immigration and get their passport stamped in, and then would get back in their vehicle to proceed on the other side. Without your private car or public transport, however, it’s hard to get here and cross. 2.The second choice is Padang Besar, a Perlis town that straddles both the Malaysian and the Thai sides of the border. This crossing is ever-popular with train travellers, as it sits directly on the Malaysia-Thai train link. Customs are in the train station, where passengers disembark, walk through the immigration booth on one side, get stamped in/out on the other, and resume their journeys by catching another train to Hat Yay — from where there are many daily connections to Bangkok and other Thai cities — or south to Butterworth. Read our guide to how to get to Padang Besar from Penang, and what other train services you can take from Butterworth. 3.The third, less known and extremely less used (but more scenic) border crossing is also in Perlis, at Wang Kelian. This checkpoint sits right after a mountain pass in a once-thriving border town that’s literally dead after the police found the mass graves of Rohingya migrant workers, and it’s the fastest way to reach Satun in Thailand. Being a rarely visited backwater, immigration personnel here tends to be more relaxed and open to foreigners — but without your own transport, it’s pretty hard to get here, unless you charter a taxi in the nearby village of Kaki Bukit — make sure you visit interesting Gua Kelam if headed this way. Entering Thailand by land it’s not as easy as it used to be. It’s a pity, because Thailand is not only an easy country to travel to but also one offering many incredible photography opportunities. In a bet to crack down on visa runners suspected to work illegally in the country, the Thai immigration is enforcing a strict control of travellers’ personal finances. In other words, once you cross overland into Thailand you may — and you will, as I was — be asked to produce at least 10,000 Thai Bath in cash in order to be allowed into the country. That’s not all, folks: there’s also a limit of only two overland entries per year that is rigorously checked upon your entry. Mind your entries, people! At last, what was previously a common form of institutionalized border bribery inflicted to Malaysian nationals has actually become the law. 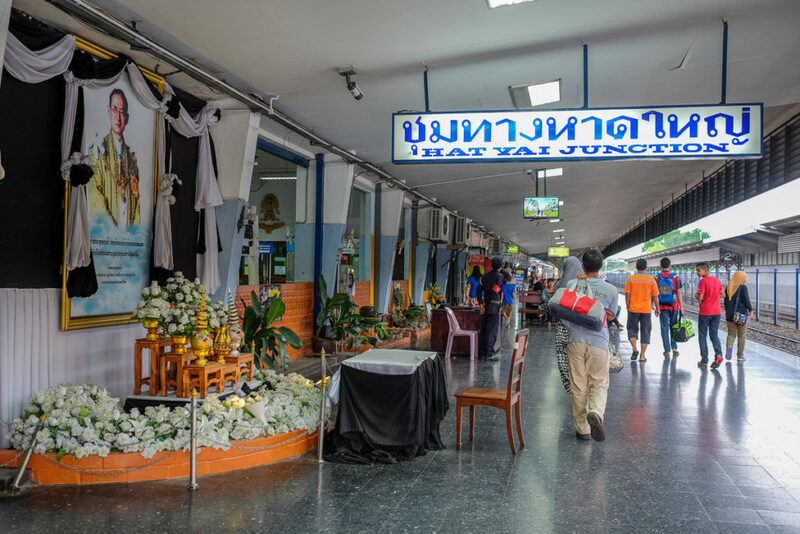 If arriving at the border outside of normal working hours (roughly outside of 8am—12pm, and 2pm—5pm), one is obliged to pay the immigration officer an “overtime fee” of 25 Thai Bath. Apparently, all these hassles are not carried out if you enter Thailand by plane. However, they are a problem for those long-term North Malaysian residents and PR-holders who were well-used to crossing the border to go shopping in Hat Yay at weekends. Well, now you must either fly or limit your visits to two per year. And be prepared to show a lil’ wad of cash on your way in, too. Land of Smiles? Well… more clenched teeth, at the moment. Malaysia, fortunately, does not have the same hard restrictions of Thailand, but it’s also stiffening up. If you think of crossing the border, turn on your heels and returning on the same day, that’s not the best of ideas, especially if you have other expired 90-days Malaysian Social Visit stamps in your passport. Indeed, Malaysian immigration is equally afraid of people coming into the country to work illegally. They will ask what is your purpose of staying in Malaysia, especially if your passport will reveal evidence of previous lengthy sojourns in the country. Some sound advice is to actually spend some time in Thailand, at least a couple of nights, and bring a flight ticket out of the country with you when you re-enter. We hope that the above information will be useful for those attempting one of these three border crossings, and help them avoid being turned back. If you have crossed any of these three borders recently and you can report on any changes, please contact us or leave a comment below. We aim to maintain this page as updated as possible to inform travellers about the nuisances and risks they can face when going overland between Penang and Thailand. Thanks for the info. I’ve just extended my visa exemption in Thailand for another 30 days but I may want to stay another 30 days before I meet a friend in India. I was thinking of doing the border run to Padang Besar as it is much cheaper than flying in and out of Penang. Do you think I will have issues on either side of the border’s immigration checkpoints if I try do the visa run on the same day? Thanks. Yes, you will certainly be grilled when returning to Thailand. Remember that now there’s also a 2-entries-overland-per-year rule that applies, so check your passport carefully. I suggest you go to Penang, chill for a week, and apply for a tourist visa there – it seems the most legit way to quiet down immigration officers (and even avoid the 10,000B rule). Don’t risk going and coming back on the same day. Good luck. Another possibility is to take the ferry to langkawi and then via ferry to lipe, Thailand. I experienced that an easier way. A bit more expensive but also quicker, but lipe was my final destination anyway. I’ll get a visa in penang in April and will most likely take the ferry trip. Small Question. What if you are holder of a valid 6 month Thai tourist visa with Multi Entry and you want to do a border run to Penang to get a new 60 day stamp ? Can you hop en come back like before or do you also need to stay in Penang for a few days ? Davy, having a visa in your passport is different from asking for the free 30 days VOA. You should have no problem turning on your heels and going straight back into Thailand. However, as you are essentially at an immigration officer’s whim, I think it’s always better to stay out of any country for a couple of days before going back in. 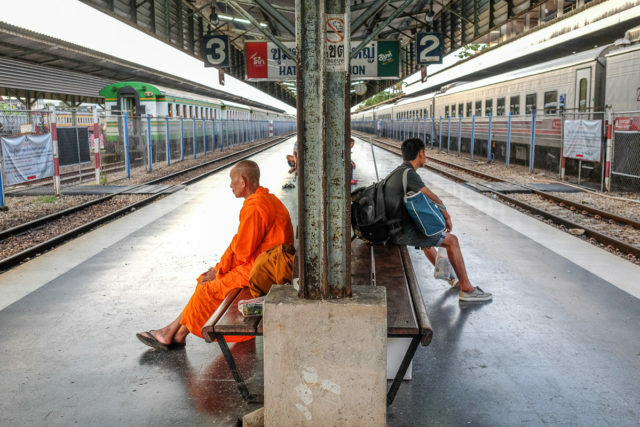 I have recently been told by several travellers that crossing into Thailand by train from Padang Besar is easy peasy even for those without a visa, so I’d try that in your same-day-return case. You just have to get the train until Hat Yai (cheaper) and then buy an onward train ticket to wherever you are going once you get to Hat Yai station. There’s a post on the site explaining how to take the train to Hat Yai from Penang 🙂 Good luck!